Citrine is a premier stone of abundance, manifestation, imagination, and personal will. Carrying the power of the sun, Citrine is warm, comforting, energizing, life giving, it clears the mind and stirs the soul to action. Citrine's frequency awakens creativity and imagination and sustains the process of transforming dreams and wishes into tangible form. With its pure yellow energy, Citrine encourages fullness of life, fresh beginnings and new pursuits. Citrine does not hold or accumulate negative energy but rather transmutes, dissipates, and grounds it, making it extremely protective for the environment. Citirne works out problems on both the physical and subtle levels, transforming negative thoughts and feelings into positive ones. Citrine is one of only two crystals on Earth that never needs to be cleared or cleansed. They have the best nail polishes. The owner is very nice and she communicates with her customers. She makes sure you are happy. 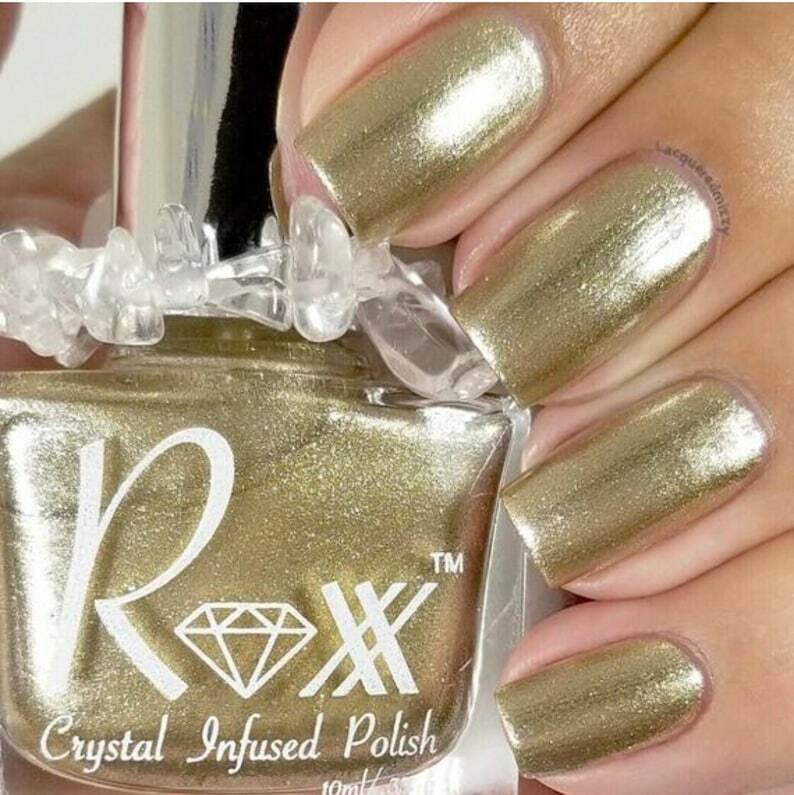 I am loyal customer and when i need a unique nail polish that will get me compliments, this is were i come and shipping is fast. I love etsy and shops like this.